Prairie Outpost Park originated as a U.S. Bicentennial Project (1976) that was moved forward with the assistance of several community groups, ethnic organizations, and service clubs, notably the Chamber of Commerce’s Fine Arts Committee and the Stark County Historical Society. 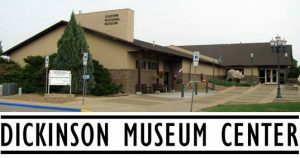 Encompassing the majority of the Museum Center’s nearly 12 acre campus Prairie Outpost Park includes relocated historic structures and purpose-built ethnic structures celebrating the Czech, Scandinavian and Germans from Russia cultures. Other features include a collection of petrified tree stumps, the re-creation of a typical coal mine entrance, a demonstration garden and a pavilion which is available to rent for events. A Gazebo, Restrooms and the Heritage Pavilion are available for visitor use. You may not enter the buildings unless you are part of a guided tour. Tours are available between Memorial Day and Labor Day only. 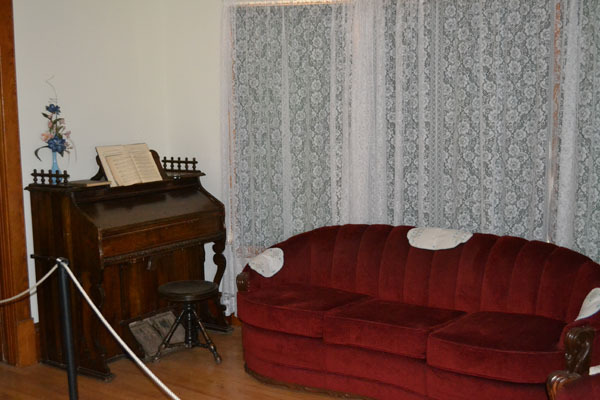 Tour times and availability vary daily. Tours may be cancelled at any time. 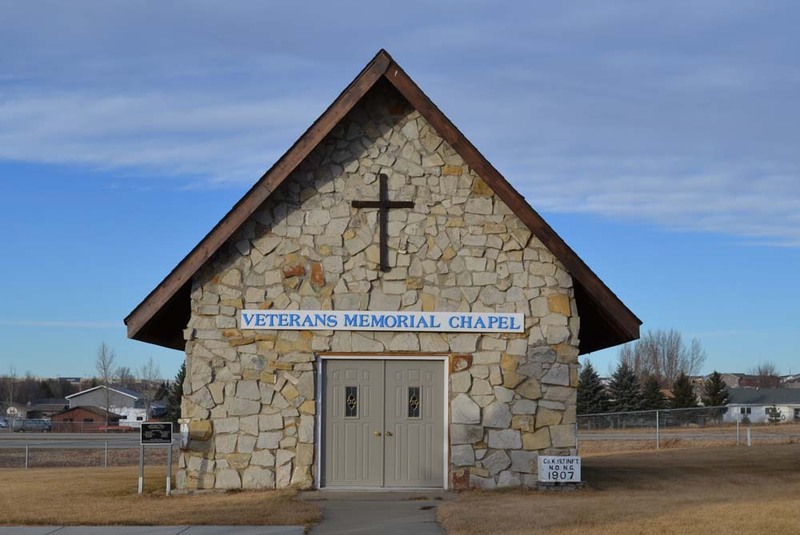 The Veterans Memorial Chapel was built on site in 1978 by the VFW, DAV, American Legion, Dickinson High School students, and the National Guard. 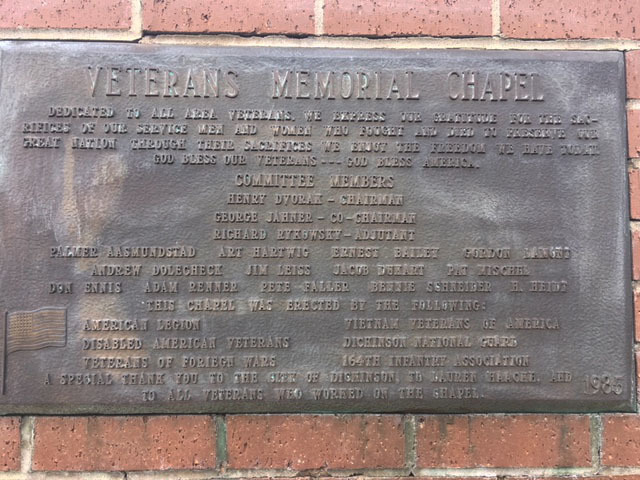 As a place of gathering and reflection, it has been succeeded by the Stark County Veterans Memorial and Pavilion located in Memorial Park at 801 5th Avenue West in Dickinson. The building was retired in 2017. 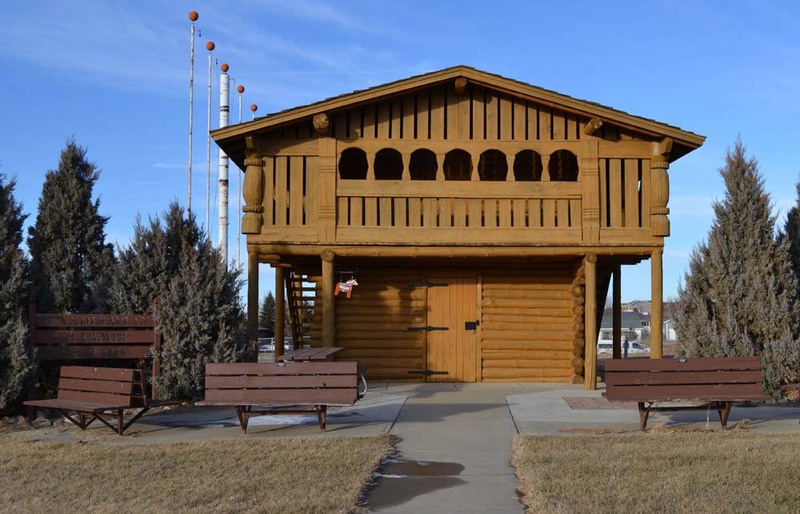 The Scandinavian Stabbur was built in 1993 as a tribute to Scandinavian immigrants from Denmark, Norway, Sweden, Finland, and Iceland who settled in southwest North Dakota. The Scandinavian Stabbur is maintained and supported in part through the efforts of the local Scandinavian heritage organization. A typical stabbur, following traditional and ancient practices, would look similar to this. This particular one was based on Norwegian construction techniques. A stabbur consists of a main, cube-shaped room for storing food (usually grain). 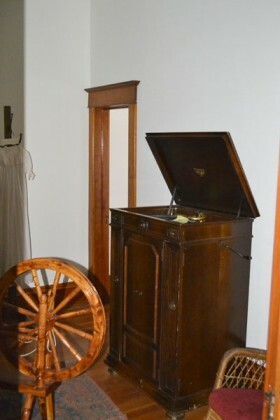 It was topped by a slightly larger room used for storage of food (fruits and vegetables), furniture, spare living quarters, or for smoking meat. 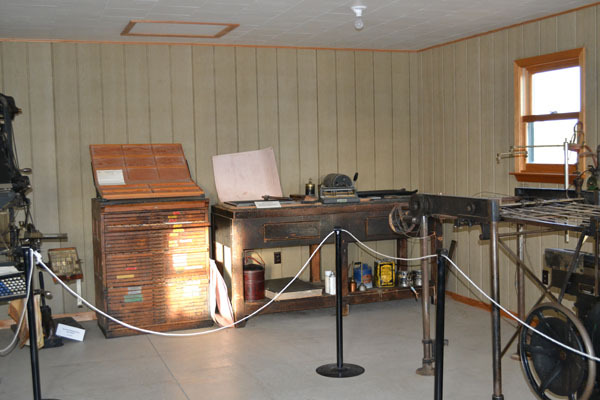 The stabbur was purchased in Park Rapids, Minnesota, disassembled, shipped to Dickinson, and put back together on site in Prairie Outpost Park. 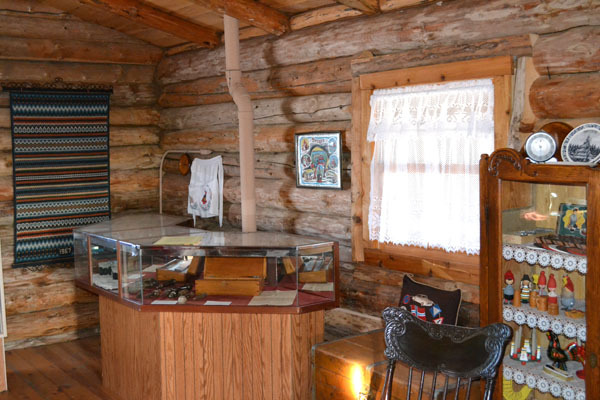 The logs were originally from Yellowstone National Park. 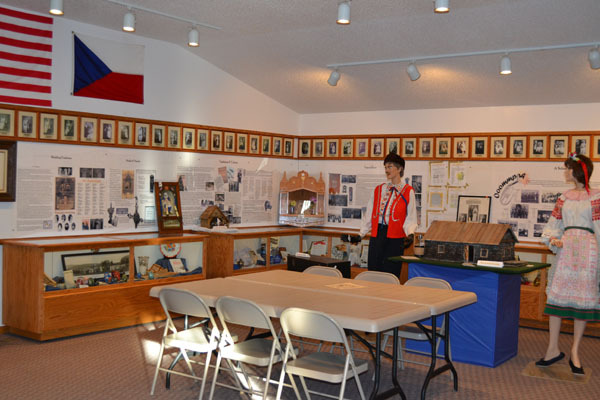 Built in 2001, the Czech Town Hall contains exhibits about the heritage of the Czech immigrants who settled in southwest North Dakota. 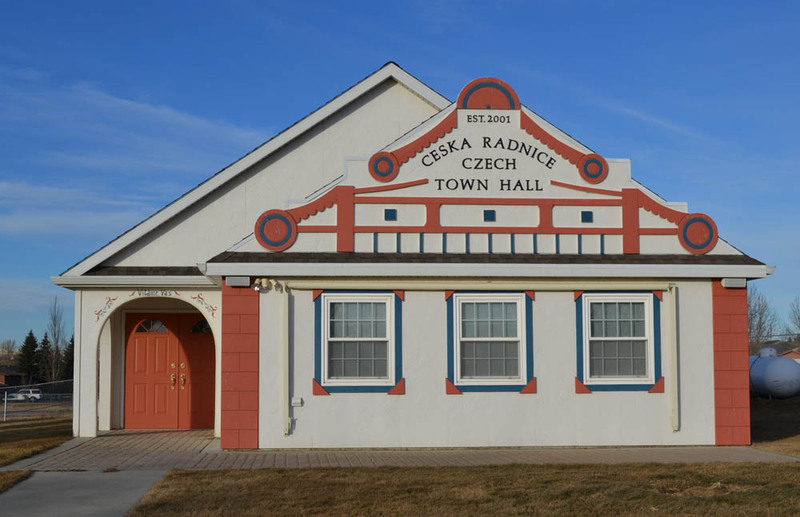 The Czech Town Hall is maintained and supported through the efforts of Czech Heritage, Inc. 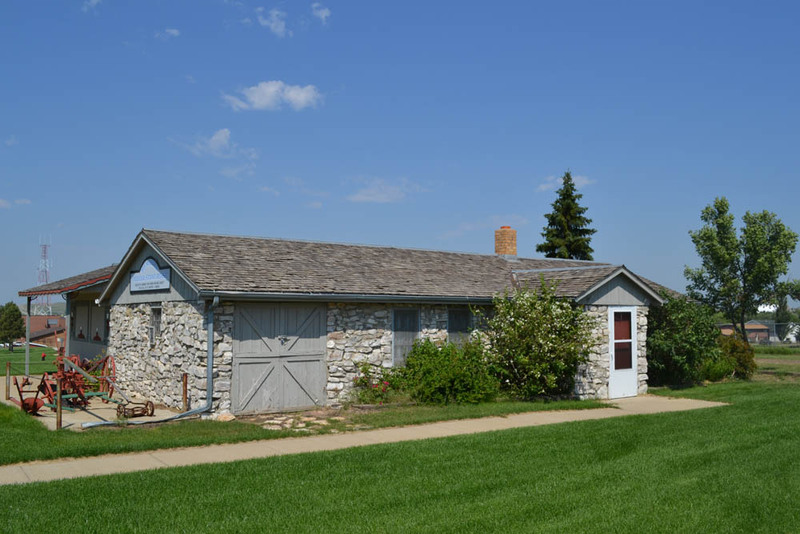 The Pioneer Stone House reproduction building was built on site in Prairie Outpost Park from 1980 to 1986 by the local Deutsche Leute Chapter of the Germans from Russia Heritage Society. 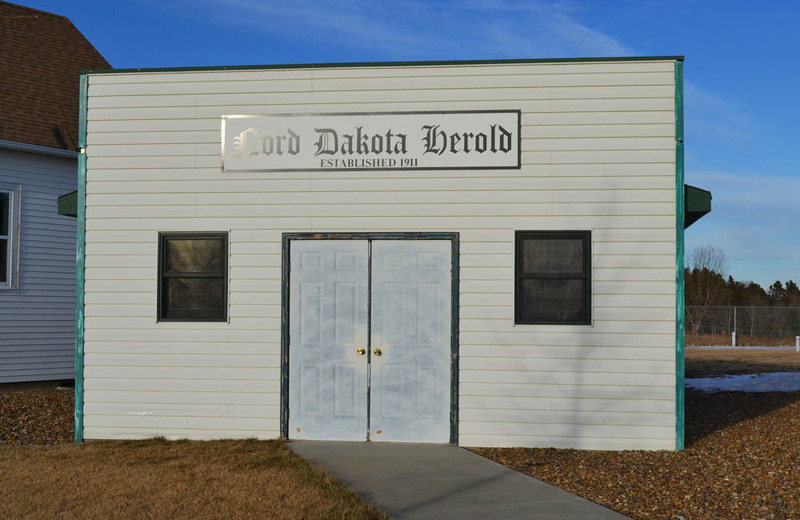 It was constructed of local limestone from a farm south east of Dickinson and designed to represent the architectural style brought to North Dakota by the German immigrants from Russia. Housing of this type contained the living quarters of people and the living quarters of their animals all under the same roof and would have been built of locally available materials, often stone and/or sod. 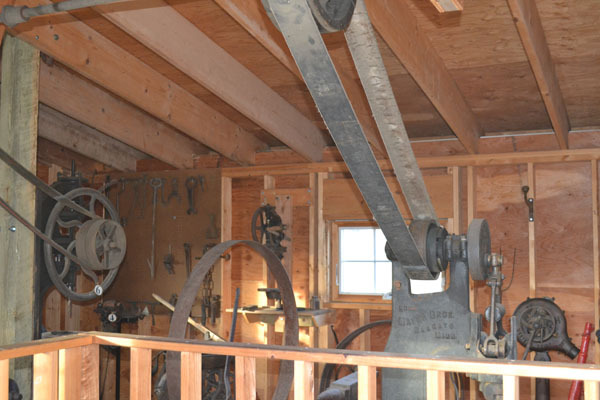 The Pioneer Stone House is maintained and supported by the local Deutsche Leute Chapter of the Germans from Russia Heritage Society. Shipley School No. 3 was the last one-room rural school to operate in Stark County and was located southeast of Dickinson. The school originally opened in 1897 as St. Anthony School Number 16. In 1908 it was renamed as Shipley School Number 3, one of four rural schools in the newly created Shipley District. In 1928 the original school building was destroyed by a fire during a winter storm and this building was erected in 1929 to replace it. 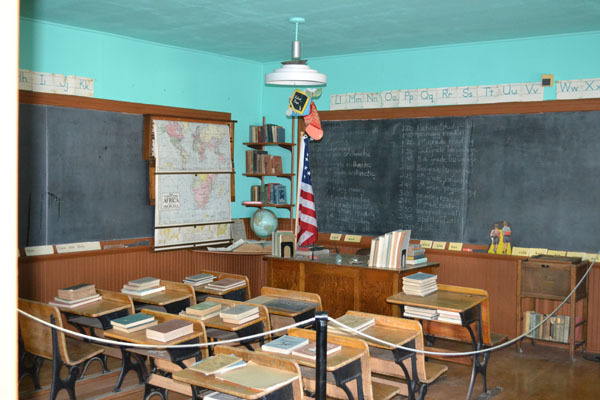 Children in the 1st through 8th grades attended school here and were taught by one teacher. 1978 was the last year the school was in operation. 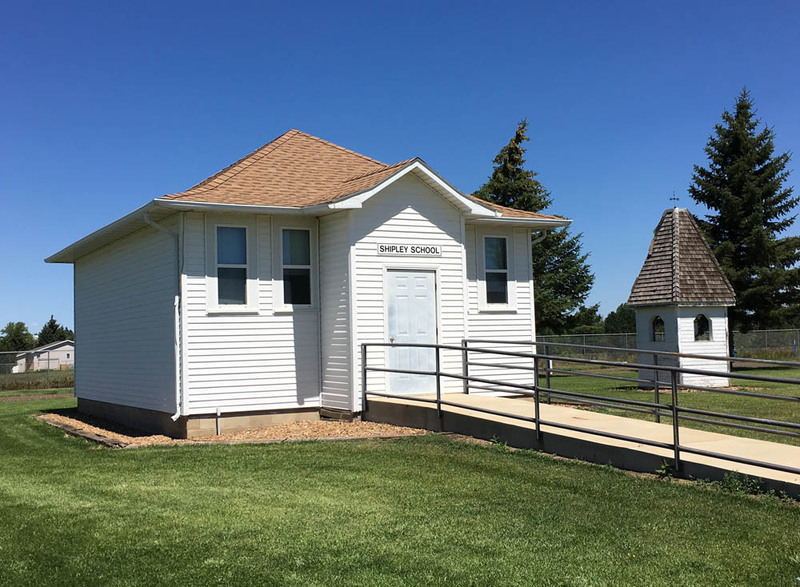 The building was donated by the school district and moved to the Park in 1980. 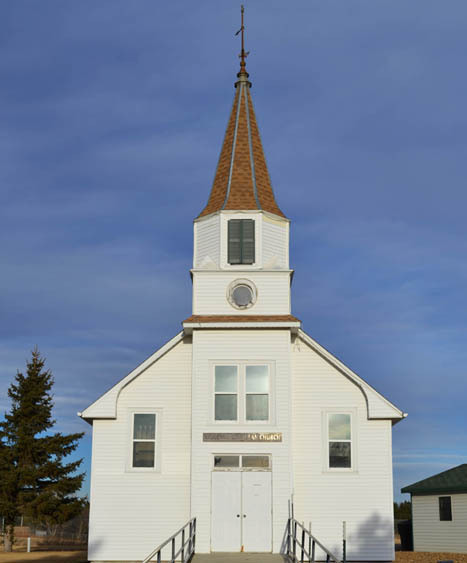 The Ridgeway Lutheran Church was constructed in 1915 and originally located about 13 miles north of Taylor, ND in Dunn County. The Church is available to rent for weddings and other ceremonies. Gorham was a small town located northwest of Dickinson in Billings County, North Dakota. 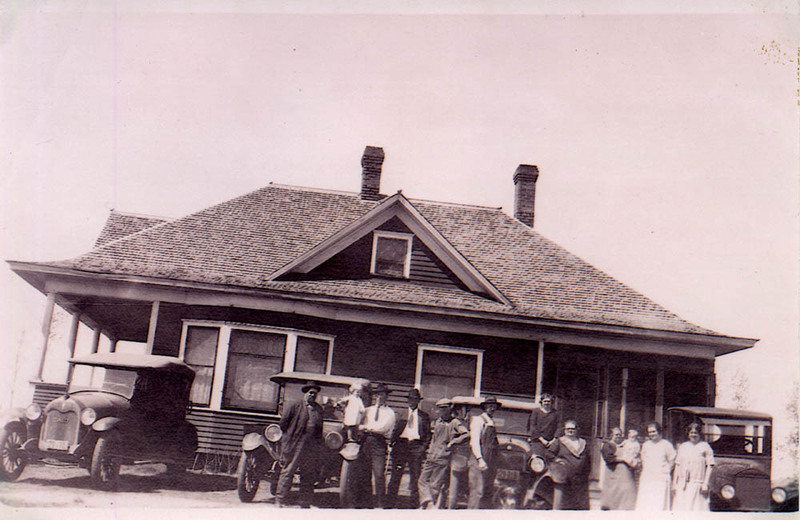 The Gorham Cooperative Store was organized in 1917 by some area ranchers and farmers but it burned down in 1918. 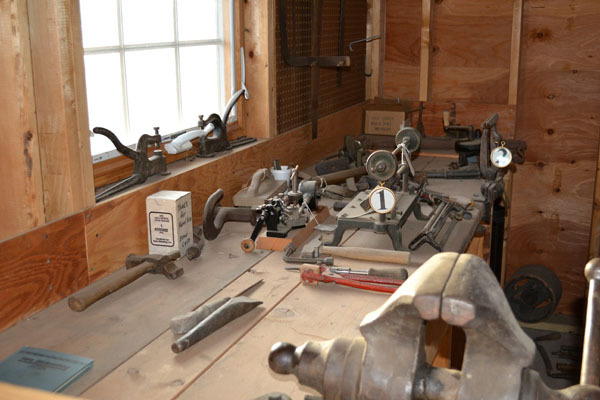 A new structure was built in 1919 and became the General Merchandise Store. 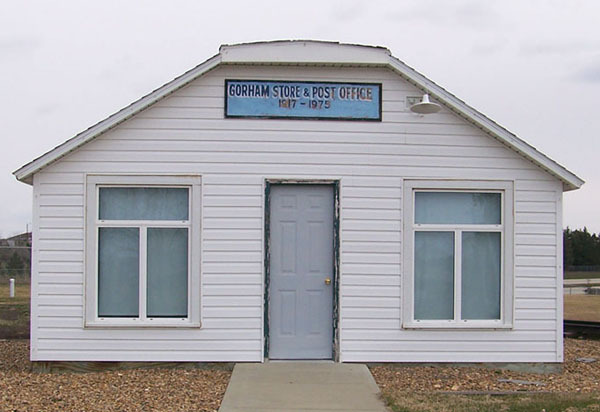 The Gorham Store and Post Office was built across the street in 1920 and over the years various families ran the business. 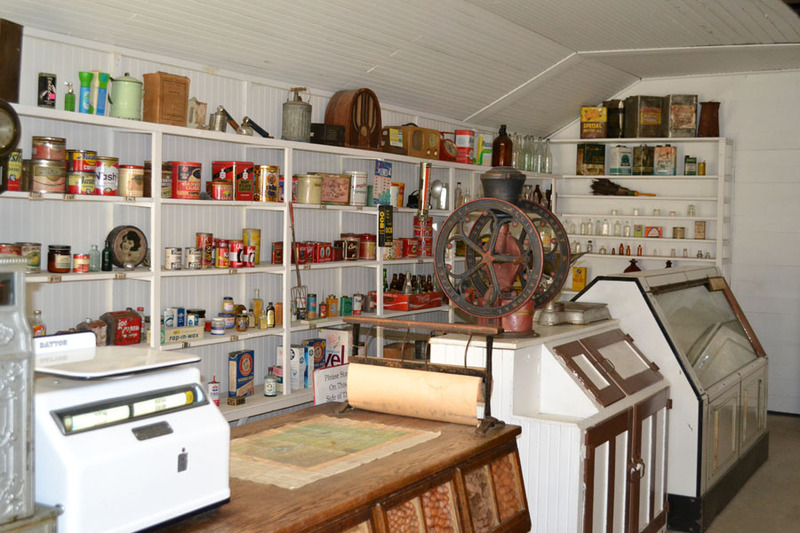 In 1940, the store was bought by John and Olga Baranko who operated it and the post office until 1947. 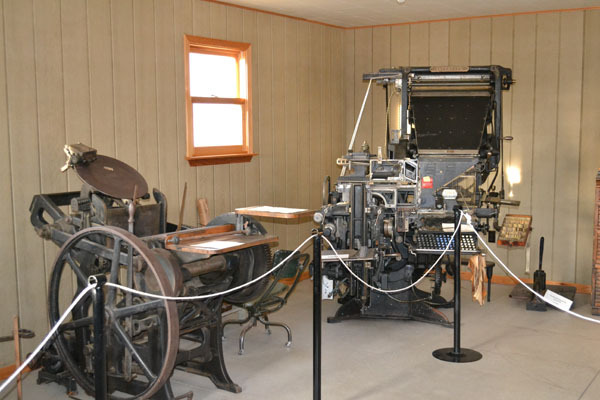 Then their son Mike Baranko bought the store and post office and he operated it until 1972. 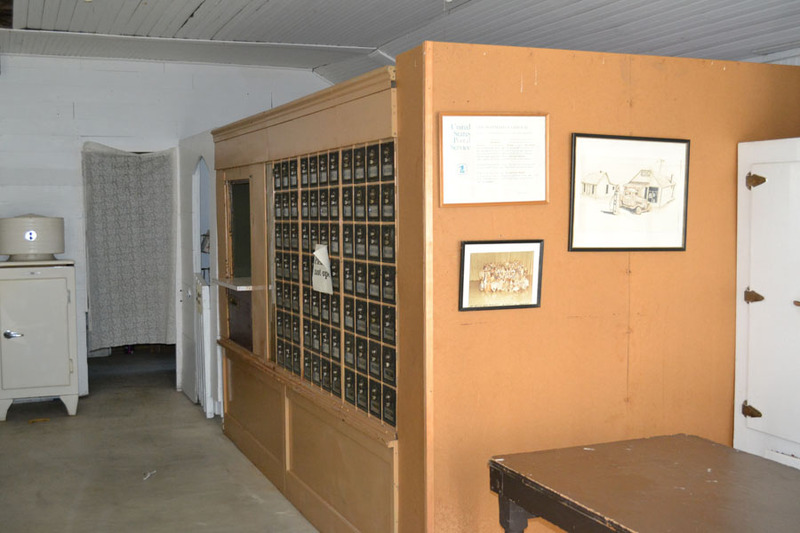 At that time the government decided to combine the post offices of Gorham and nearby Fairfield. 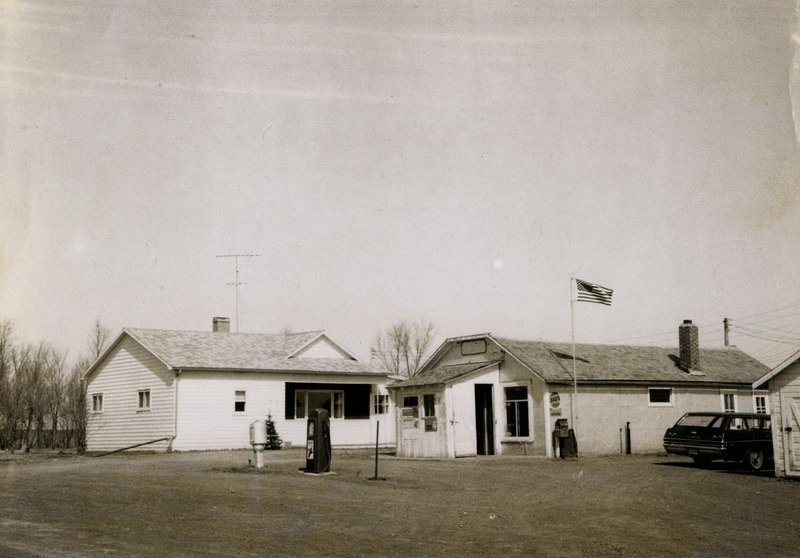 Baranko bought land along U.S. Highway 85 and built a new post office building which became the Fairfield Post Office. The other businesses of Gorham relocated as well and Gorham became a ghost town. 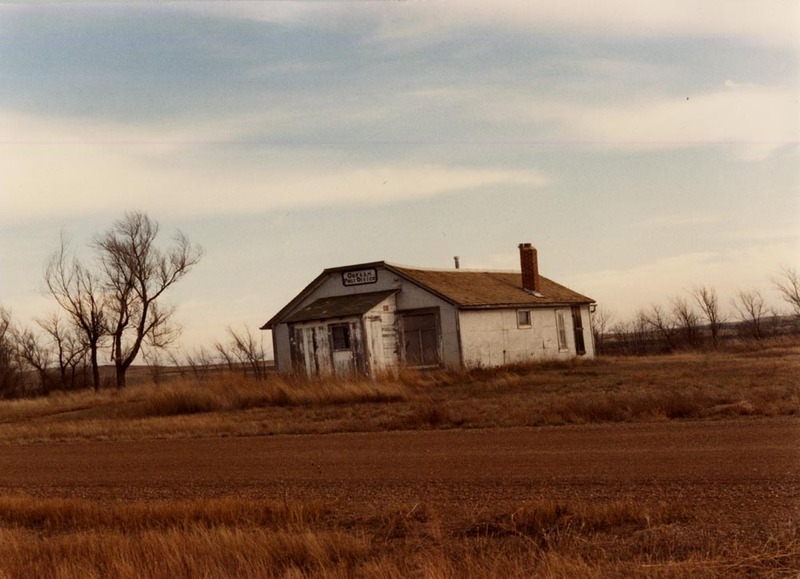 This building sat unused at the Gorham site until 1984 when it was moved to Prairie Outpost Park. The settlement of South Heart, located west of Dickinson, began with the building of the Northern Pacific Railway depot in 1881. 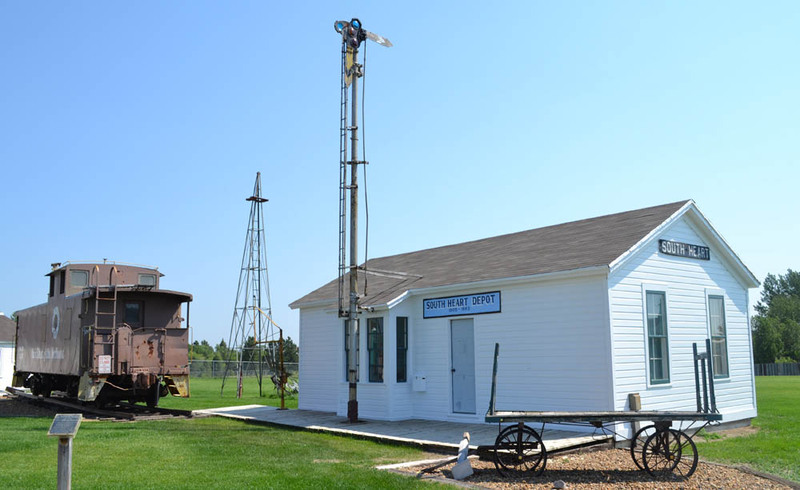 The town, named for its location on the south side of the Heart River, moved in 1910 when the railway moved the depot 1 ½ miles west. 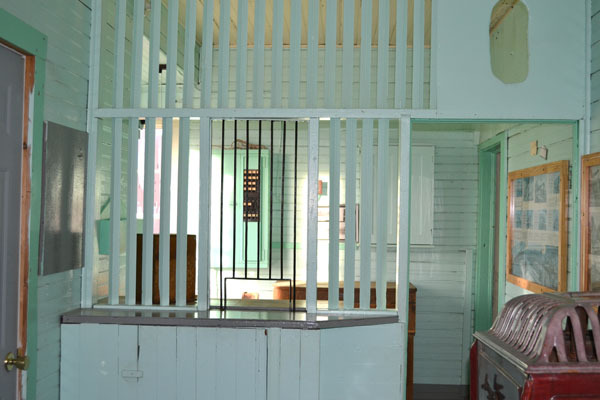 The South Heart Depot was the home of the Station Agent and their family, sometimes with the spouse working as Telegrapher. 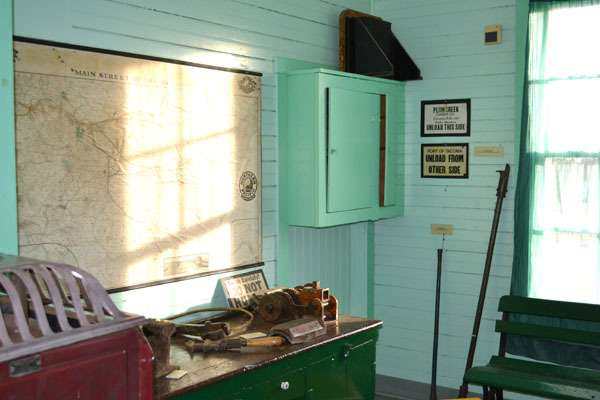 The Depot was staffed 24/7 as the services of the Agent or Telegrapher might be needed at any time to receive or send freight and telegraph messages as well as dispatch orders to passing trains. The Northern Pacific Railway was in operation until 1970 when it was consolidated with several other railroads to form the Burlington Northern Railroad. Sixteen years later Burlington Northern consolidated with the Atchison, Topeka and Santa Fe to become the Burlington Northern Santa Fe Railway (BNSF) in 1996. 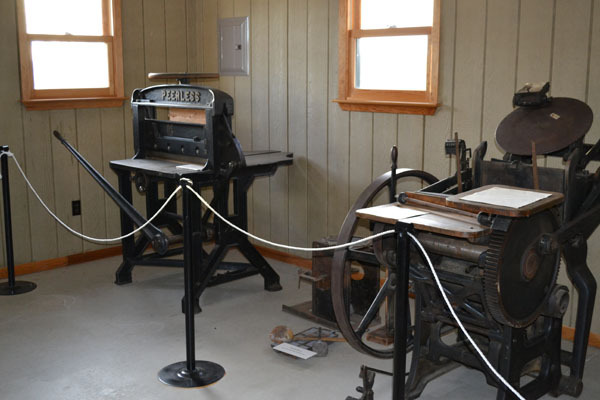 The Depot was donated by Laudie P. Tuhy and moved to Prairie Outpost Park in 1984. 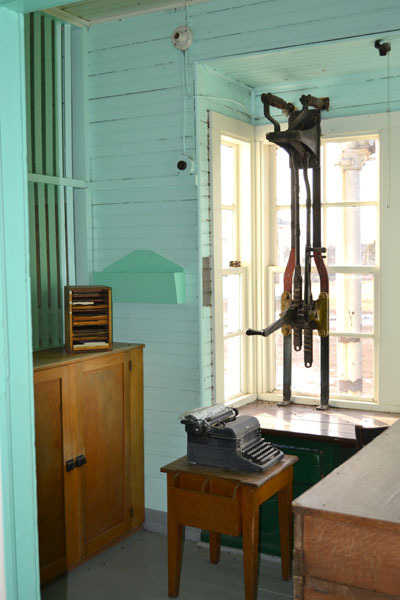 The #1081 is a steel ‘low cupola’ caboose that was constructed in the Northern Pacific Railway’s Brainerd Shops in 1954. 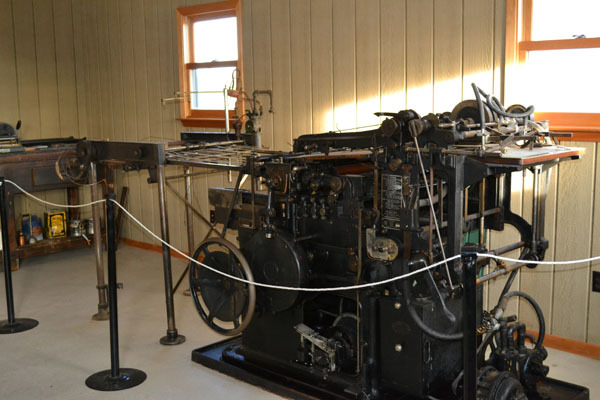 It was donated to Prairie Outpost Park in 1985 by Burlington Northern Railroad. 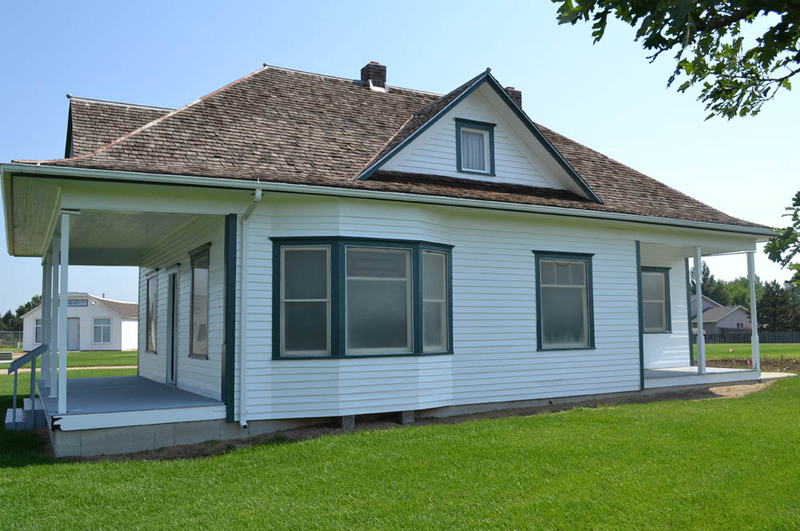 The Heath-Steinmetz House located in Prairie Outpost Park was built in 1912 and was originally located in Rifle Township in Hettinger County, ND (T136N, R95W, Sec. 20, SW1/4). 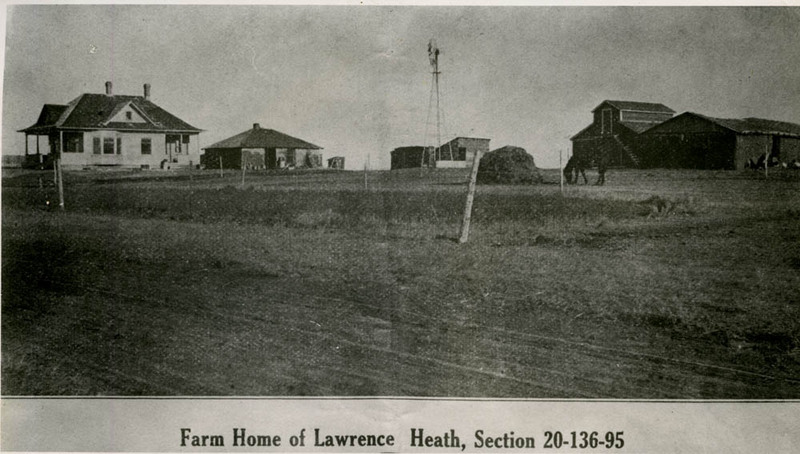 It was originally the homestead of Lawrence Heath who came to North Dakota from Wisconsin. Heath died suddenly in 1917. 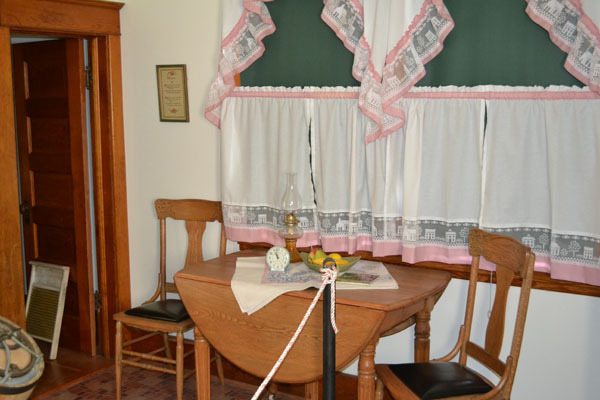 His wife and daughter remained at the home and farm until 1923 when they returned to Wisconsin. 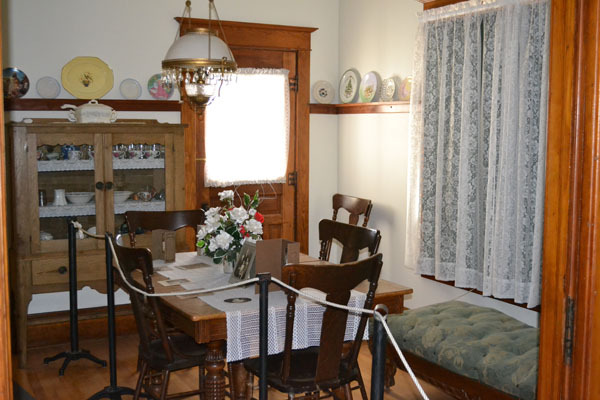 The John Steinmetz family then rented the house and farm. 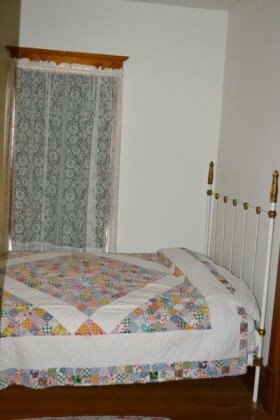 They lived there until November 17, 1944 when John retired and they moved to New England. His daughter, Irma, purchased the house from him in 1944. The family still spent summers at the farm. The house remained in the possession Irma until her death in 1991. The house was never remodeled, and electricity and plumbing were never added. 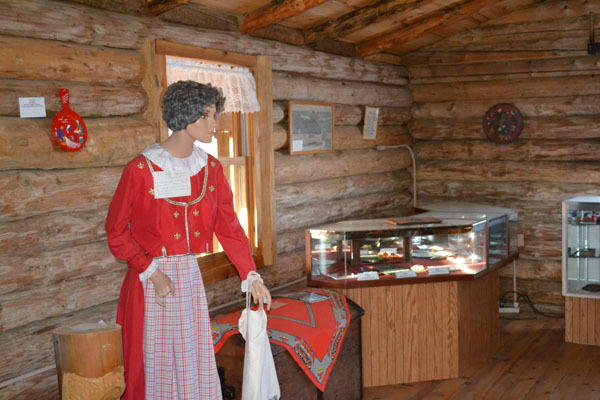 In 1993, the house was moved to Prairie Outpost Park. The structure had extensive vandalism and weathering damage prior to being moved to this site as it had sat empty for nearly thirty years. It took five years to be restored. 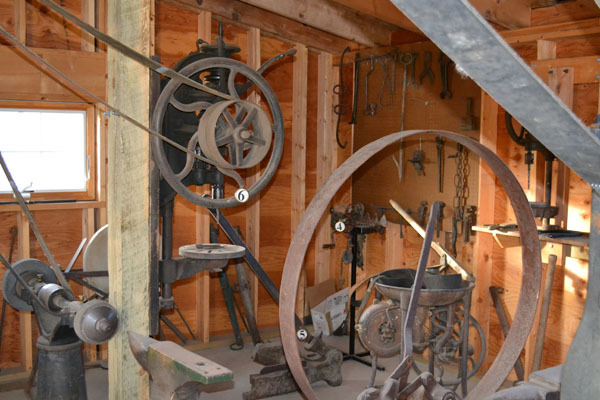 Located next to the Pioneer Machinery Building, the Blacksmith Shop was constructed in 1998 to feature a variety of items that would have been found in a typical blacksmith shop. 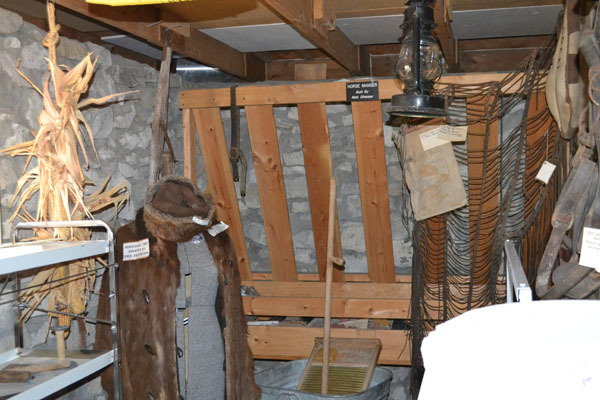 The interior of the second floor of the stabbur where the local Scandinavian heritage organization has their exhibit. 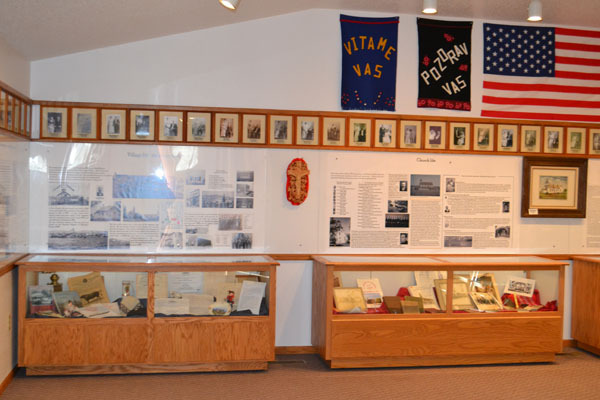 Exhibit inside the Germans from Russia stone house. Bedroom in the stone house. 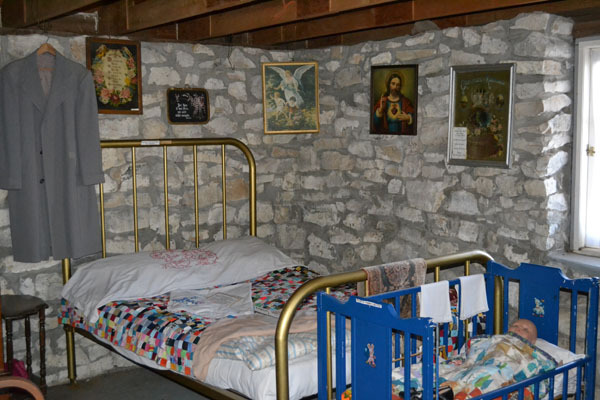 Animal quarters in the stone house. 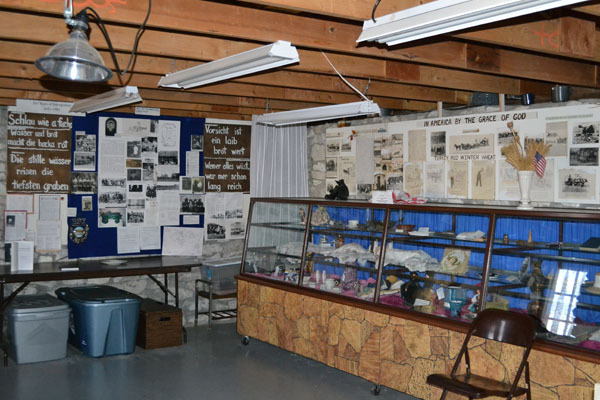 The store when it was in operation. Photo courtesy of the Baranko Family. 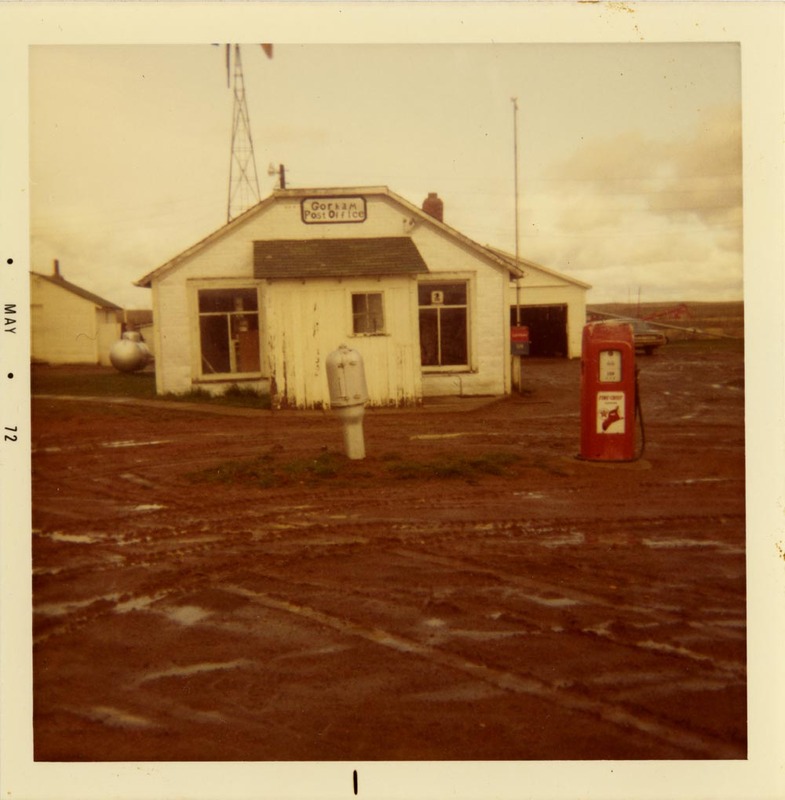 The store in May of 1972. Photo courtesy of the Baranko Family. 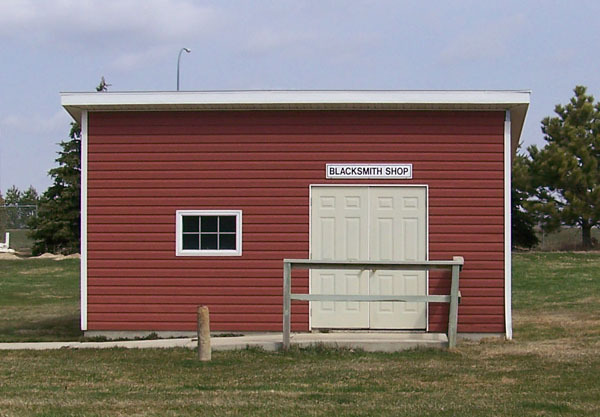 The store after it was abandoned and before it was moved to the Park. Photo courtesy of the Baranko Family. The left half of the building devoted to the store. The post office on the right side of the building. The farmhouse just after it was built. Circa 1912. 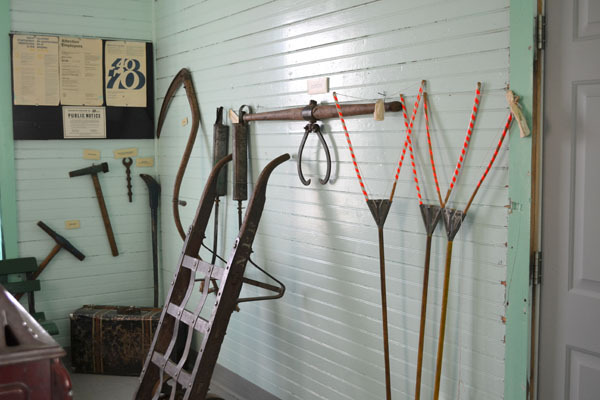 How the farm looked for the Heath and Steinmetz families from 1920- 1940. 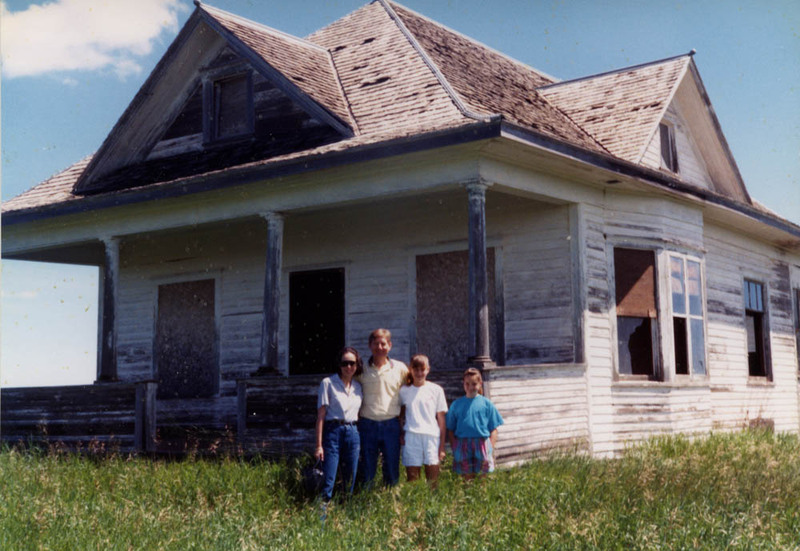 The farmhouse in 1991 with only grandson Alton Steinmetz and his family. 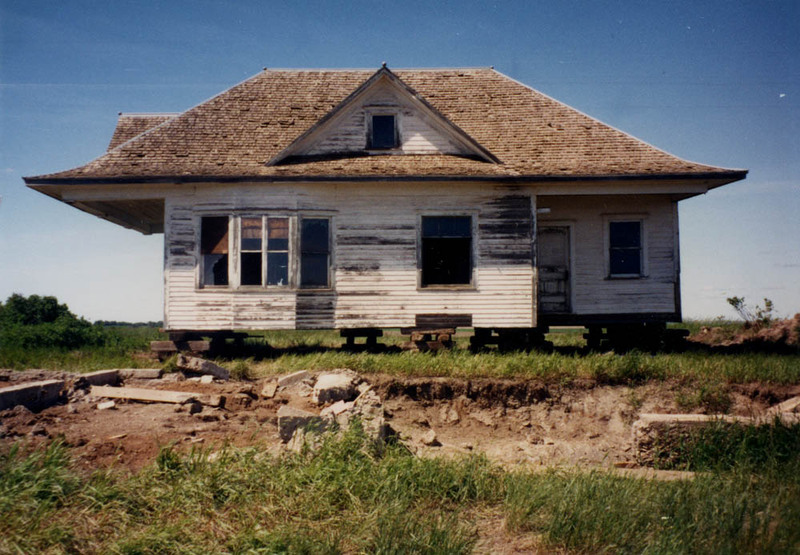 The farmhouse in 1992 after it was moved off its deteriorating basement. 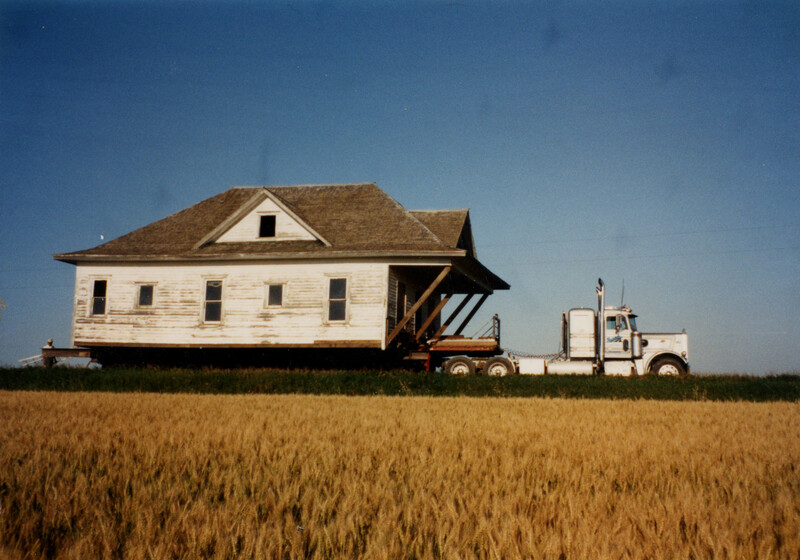 The farmhouse being moved to the park in 1993.